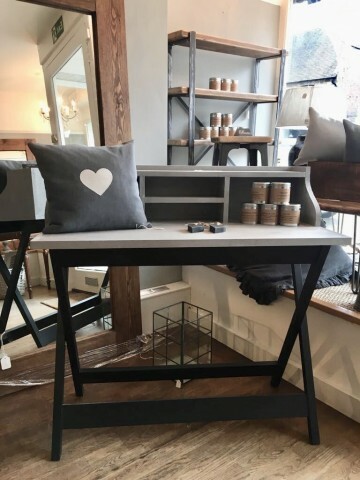 So often we market a piece of furniture as a desk only to discover that its new owner wants to use it as a dressing table or visa versa, so it made sense to categorise our hand painted dressing tables and desks together. By adding one of our mirrors (especially oval shaped) above a desk it can so easily be turned into a dressing table, a great idea if you are using a small bedroom as an office but need to change the room to a guest room for the duration of your guest's visit. Lovely old vintage and antique French dressers are hard to come by and we love nothing more than restoring and bringing back to life tired and unloved original pieces like the one recently sold which was rescued from an old school house in Hove; they don't come along too often.